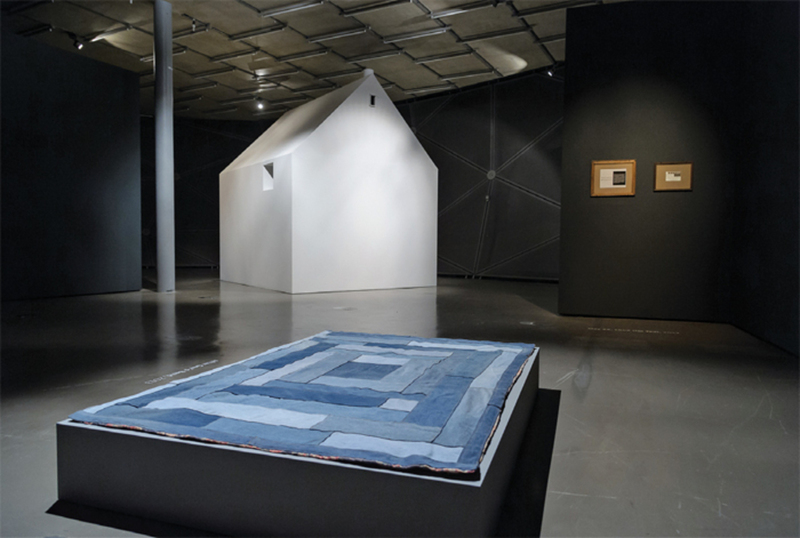 View of “James Benning: Decoding Fear,” 2014. Foreground: After Gee’s Bend, 2013. Background, from left: Architectural Rendering (Two Cabins), 2014; Data Entry, 2014; May 22, 1942 (for Ted), 2013. Photo: UMJ/N. Lackner.